CDS or Combined Defence Services is a very important exam conducted by the Union Public Service Commission. Success in this exam means that you get direct admission into some of the most prestigious defence academies of India like Indian Military Academy, Officers Training Academy, Naval Academy and Air Force Academy. If you also aspire to get into one of these academies, then getting through CDS should be your top priority right now. Preparing for CDS is not that difficult if you make an effective plan and work accordingly. The syllabus for CDS is quite large and therefore the first thing that one should do is to divide the time according to the various subjects. In CDS, English covers one-third of the syllabus. There are 120 questions for 100 marks. The main topics covered in this section are spotting the error, sentence arrangement, synonyms & antonyms, comprehension, sentence ordering, fill in the blanks and vocabulary. All of us have already studied these topics for tenth boards. Therefore, this should not pose a problem for all the aspirants. However, Basic grammar will have to be revised and prepared for this subject. The General Knowledge section also has 120 questions for a total of 100 marks. Questions in this section include s major topics of Indian polity, economy, geography, history constitution and current affairs. One needs to inculcate the habit of reading newspapers on a daily basis in order to be thorough with the latest current affairs. There are a number of books available in the market or on the internet that cover all the major topics mentioned above. Practicing online tests will give a basic idea about the type of questions so you can prepare accordingly. Many candidates fear this subject the most. To be honest, Mathematics is the most scoring subject in the exam. There are a total of 100 questions that come for 100 marks. Practice will make you prosper in this subject. The main topics covered under this subject are Arithmetic, Trigonometry, Algebra, Mensuration, Statistics and Geometry. The questions under these topics can be easily attempted if you practice them thoroughly. Time management is very important while preparing for Mathematics. Divide your time according to your knowledge. Give ample amount of time for the most difficult topic. There are a number of practice books available in the market that help you achieve your target and also provides some quick and easy tips. 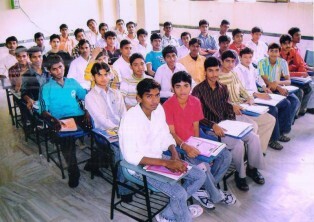 CDS is a very important exam that is held twice every year. It gets you directly admitted into some of the most esteemed armed force institutes in India. If you work hard and practice regularly, then it is quite easy to crack this exam. These were some quick and easy tips on how to prepare for CDS.